Our Microblading School trains you for the HOTTEST and most CUTTING EDGE brow trend to cross over to America from Malaysia! Microblading is a Permanent Cosmetic tattoo technique (aka Eyebrow Embroidery, 3D Brows, 6D Brows, Hairstroke brows…). Using a manual pen, pigment is added by penetrating the top layer of skin. Instead of a ‘block of color’ the brow is defined by fine, hair like strokes. The result is a realistic and dimensional natural brow. Microblading can be a stand alone business opportunity or added as a great new service for existing beauty professionals. Microblading Education through Sassy Wink Academy’s school provides a comprehensive curriculum for students to learn this exciting skill and begin a career as a Professional Microblading Artist. Students can expect to be immersed in theoretical and hands-on practical training specific to Microblading techniques. 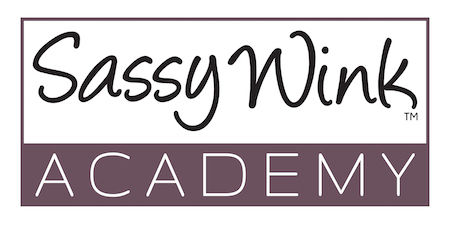 Sassy Wink Academy is the global leader in innovative online and virtual training within the beauty industry. Combined with live model work, in person coaching and mentoring and continuing education opportunities, Sassy Wink Academy is meeting the needs for all types of learners. Who Is Microblading Training For? When it comes to learning the skill of Microblading, the ideal Microblading artist is dedicated, meticulous and knows that practice and patience will be necessary while developing the muscle memory and knowledge attached to microblading training in order to truly maximize their skills and level of artistry. 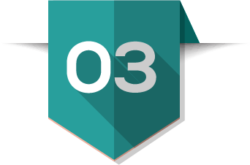 In order to effectively be able to build a Microblading business, there are 3 things each student must master. Our Microblade & Micropigmentation education will train you how to design a custom eyebrow shape. You will learn how to shape the eyebrows according to bone structure. Our training courses will teach you how to choose pigments for a variety of complexions and skin types.You will learn hair stroke patterns and how to use them in conjunction with natural brow hair growth forms. Sign up for our Microblading school training today! All Microblading Artists must design the eyebrows specific to the unique brow bone and facial structure of each individual client. The perfect Microblading brow is the result of one’s ability to master the process of creating consistent hair stroke patterns, mirroring one another on each brow. All students going through Microblading Training must also incorporate all Sassy Wink Academy guidelines, as instructed. Proud to say I finished my #microblading training last week while I was home visiting my family in Arizona!! It was a long time coming because I wanted to make sure I found the right teacher for me. Thank you @sassywinkacademy for the impeccable teaching of this meticulous artistry work!! I’m so happy I found you ❤️ Now to practice, practice, PRACTICE!!!! I did a lot of research once I decided I wanted to get trained for microblading, and it was important to me to find an extremely organized and professional training. Once I saw the introductory webinar with Amber speaking, I knew this was the training for me. She was so professional, well-spoken, and passionate about the subject, which only continued once I attended the three-day training. Her warmth, honesty, knowledge and passion for the subject made the training fly by, and I left with the tools I needed to continue to practice and eventually feel confident. I know that she is there for me if I have any questions or need feedback moving forward, and I love that she is available for mentoring after the class when questions start to come up. I highly recommend this training and just can’t say enough wonderful things about it! Thanks again for a great training! I recently completed Microblading Essentials training under the tutelage of the experienced Amber Arrington, owner of Sassy Wink. Sassy Wink Academy is headquartered in Arizona. My aesthetics practice is in Boulder, Colorado. Although there are courses located closer to me, convenience was not my priority. I was seeking the credentials and expertise of a specific instructor. Amber fit the bill. I followed her talents on Instagram for months before committing to her training course. One month before I arrived, Amber and her staff exhibited exemplary customer service in returning my phone calls and answering my questions and preparing me for my travels and training. Amber’s course starts promptly at 8 AM and wraps up at 3 PM. She was sure to cover exactly what was offered meeting all of my expectations. Like any good teacher, Amber also encouraged and nurtured camaraderie among the students. I completed the class feeling excited about my new skill set, and Amber set up communication systems to assist with future support. I highly recommend Sassy Wink Academy! Microblading Essential training through Sassy Wink Academy was one of the best choices I’ve made in my career as an Esthetician. I feel privileged to have studied under Amber Arrington. Her knowledge and ability to convey that information is top notch. I have been given so much more support since I became certified, my Microblading business is booming! This is definitely a first-class operation, best training ever! Amber truly cares about her student’s success and it shows! Thank you, Amber, I’m truly grateful. I confidently recommend Amber Arrington’s Microblading Essentials training program. I chose her as my trainer because of the work she produced. Her work is natural & unique for each client; this is something I would like to offer my clients. After I had an opportunity to meet with her in person, before my training, she answered all of my questions and explained exactly what I can expect from her. She is more than a Microblading trainer she is an artist & service provider, she understands the real-life struggles when managing clients & business needs. I felt she truly cared about everyone who walked in her studio as an individual. The training itself was thorough & stayed on topic at all times (including our lunch break), I liked the small class size. Amber did an amazing job keeping everyone engaged during the entire training. I felt she was very honest when being asked specific questions about how she runs her business & suggestions for best practices. What impressed the most was the unbelievable amount of support & honesty she has continued to offer me. I ask a lot of questions & want candid feedback, 3 months later I am still sending her pictures & she is patiently walking me through the learning process.